Is accepting a troubled past safer than embracing an uncertain future? Sophie Holland, quiet and unassuming on the outside, is lost in the shadows of her fiancé, Travis Turner. It's the same place her troubled past hides. 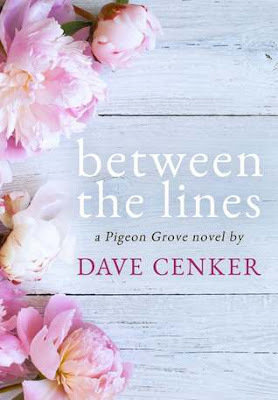 With her thoughts and ideas longing to escape the protective shell she's carefully built, will the quiet southern charm of Pigeon Grove and its residents provide the nudge Sophie needs to help her dreams take flight? To his family and friends, thirty-year-old Mason Shaw appears an open book. Unafraid to bare his emotions, few people know Mason has secretly buried the guilt of a decades-old decision, which still haunts him. Can Mason overcome childhood demons to find his place in the world, or will the return of Travis, his high school archrival, threaten to destroy everything he believes... about fate, the pursuit of dreams, and love? First, I have to say that I think the cover for this book is so pretty. I really love it. Next, I have to admit that I struggled with this book. It is heavy on character introspection and limited on actual character interactions and dialogue which made it really hard for me, personally, to stay invested in the story and feel that emotional connection to the characters. Character growth is a necessary and vital part to any story and Mason and Sophie definitely show growth but this story dwelt in that individual introspection too much for my personal taste. The forward momentum was slow, with the characters swirling in the same place for what felt like a long time. The ending was, by far, the best bit of the book for me. Full knowing and resolution always feels good. I think that while this particular writing style isn't my cup of tea, it may be very appealing to others. I actually think this author has missed his calling as a poet. (or maybe he is and I just don't know it!) His grand use of pretty words and phrases make me think he could write beautiful poetry, full of multiple meanings, both hidden and obvious. He also clearly has a specific interest in the reasoning behind human nature which would also lend itself to poetry. Content: unmarried couple lives and sleeps together but there are no intimate scenes. Kissing. Sounds like a good series, I will have to look for it!